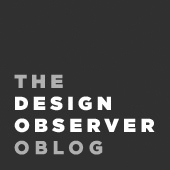 Everyone who follows Rick Poynor on Design Observer knows the images that accompany his articles are meticulously selected and an intergral part in telling the story. What you may not know is that he is also increasingly preoccupied, as a photographer, with making images himself. Just as designers can expand their practice through writing, he argues, so can writers in visual disciplines extend their practice by learning to write with images; pictures should be much more than an afterthought. Want to hear more? He will show and discuss his photographs at a DCrit talk next Tuesday, April 9 at 6:30pm. It's free! More info here. All photos by Rick Poynor.